These two marble statues are copies of late Renaissance models. 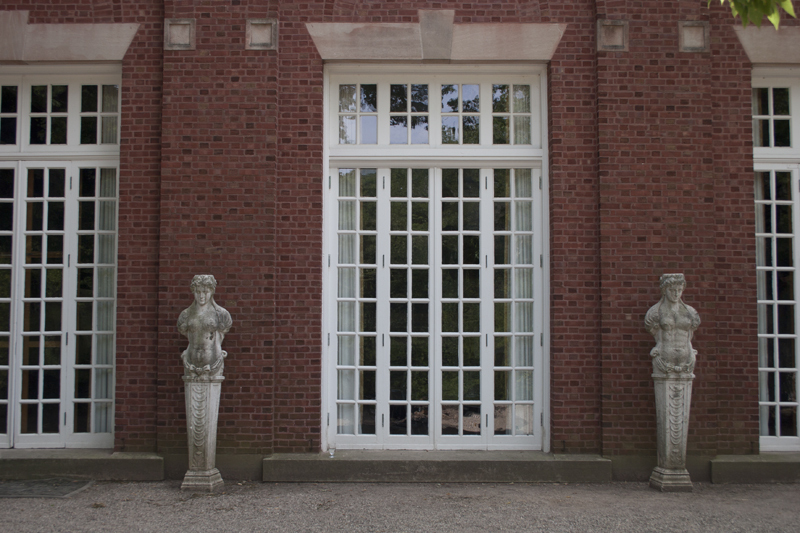 They stand at 6'6" high in the Allerton House library terrace. The artworks were a gift of Robert Allerton in 1946. 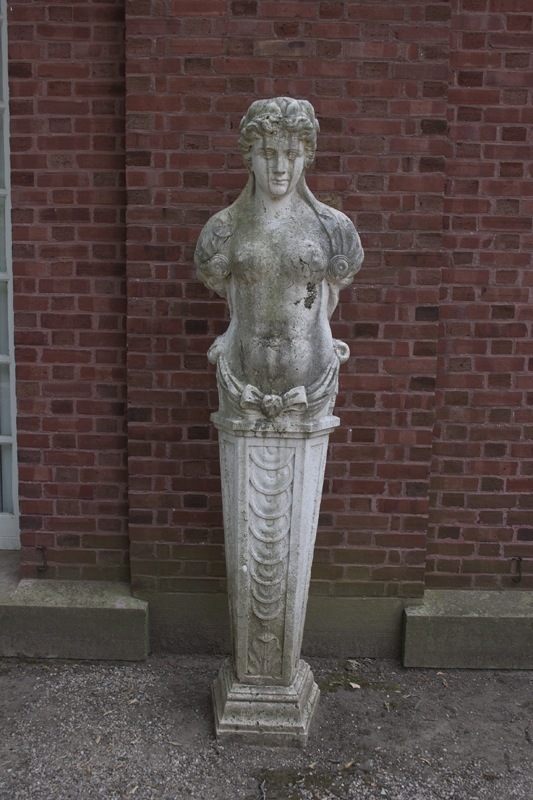 Two odd marble statues-partially draped, truncated, demure armless female nudes on decorated, tapered shafts stand against the back terrace brick walls of Allerton House. Renaissance-type figures such as these are sometimes adapted by architects for purely decorative purposes, but they were used in antiquity as pillars to mark boundaries. 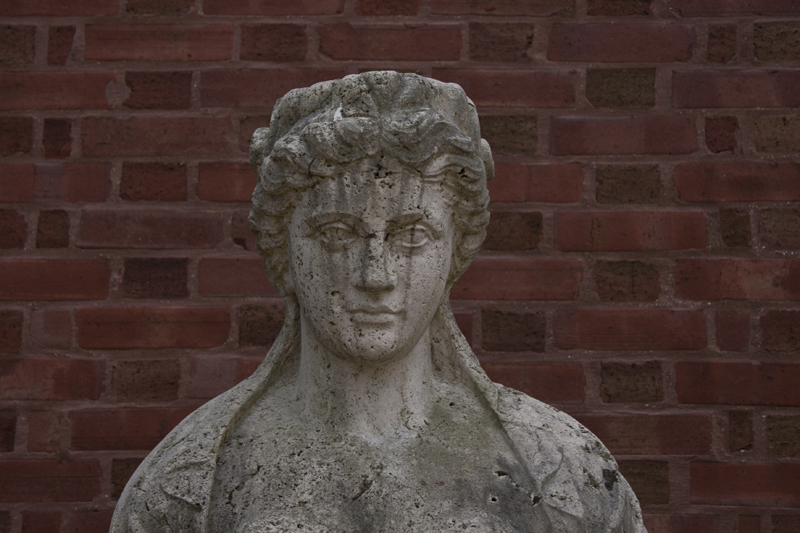 Garden books refer to them as "herms," for male and female heads or figures of the Hermes type; as "caryatids," even if they do not bear structural blocks or vases on their heads; or "terms," standing for terminal busts or figures on four-sided columns. John Allerton described them as terminal busts, "a rather poor name," he added, "but it's the official title." In a 1952 memo, Par Danforth, the park's first director, attested that Robert Allerton purchased the pieces "in an antique shop in Rome some fifty years ago. They either came from the Pope's Villa or are copies of those at the Pope's Villa." 515 Old Timber Road, Monticello, IL 61856 ~ These figures can be found in the Allerton House library terrace. 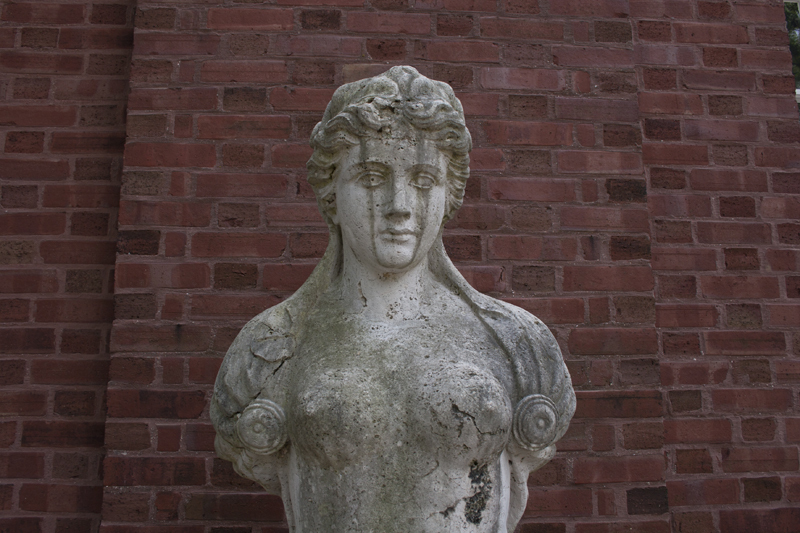 Muriel Scheinman, “Terminal Busts, before 1900,” ExploreCU, accessed April 19, 2019, https://explorecu.org/items/show/42.